Students will read a minimum of 10 books from a list of 24 books in order to qualify. The annual 4th Grade Battle of the Books is a fun literacy-based event. 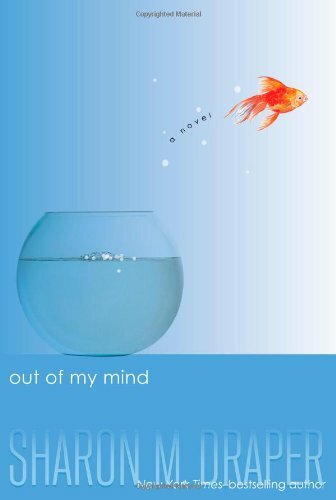 From September 2018 through mid-April 2019, students read a minimum of 10 from a selection of 24 books. The Battle takes place on a Wednesday evening in April at the SK High School Auditorium. Participating students are divided into teams, and in a series of rounds (usually 4 rounds of 4 teams) are quizzed on details from the books by their school librarians as well as their public librarians. The event is always very exciting! This is an optional activity, but students are encouraged not to miss what many say was a highlight of their 4th grade year. See details on the event and the books below. And, print out your own bookmark with a list of the books below as well! Printable Bookmark with Checklist: so you can keep track of what you've read! Gr 3–5 - Meet Beauty, the bald eagle that made world news when she was injured, rescued and received a 3D-printed prosthetic beak. 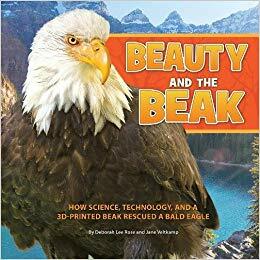 Follow Beauty's brave and inspiring story as she grows up in the wild, is rescued after being illegally shot, and receives a new beak specially engineered by a human team including a raptor biologist, engineer and dentist. Learn more about how bald eagles as a species came back from near extinction, and about nationwide efforts to conserve this American symbol. Gr. 3-6 - Marcel loves riding his bicycle, whether he's racing through the streets of his small town in France or making bread deliveries for his parents' bakery. He dreams of someday competing in the Tour de France, the greatest bicycle race. But ever since Germany's occupation of France began two years ago, in 1940, the race has been canceled. Now there are soldiers everywhere, interrupting Marcel's rides with checkpoints and questioning. Then Marcel learns two big secrets, and he realizes there are worse things about the war than a canceled race. 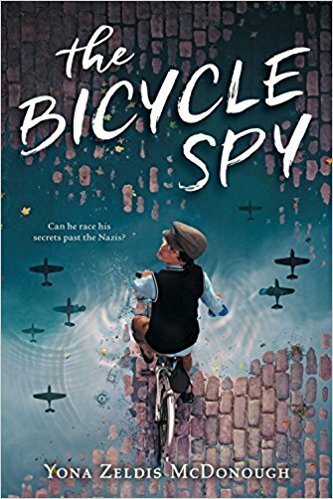 When he later discovers that his friend's entire family is in imminent danger, Marcel knows he can help -- but it will involve taking a risky bicycle ride to pass along covert information. And when nothing ends up going according to plan, it's up to him to keep pedaling and think quickly... because his friend, her family, and his own future hang in the balance. 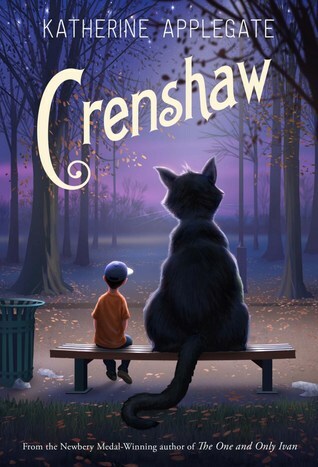 In her first novel sinceThe One and Only Ivan, winner of the Newbery Medal, Katherine Applegate delivers an unforgettable and magical story about family, friendship, and resilience. Gr. 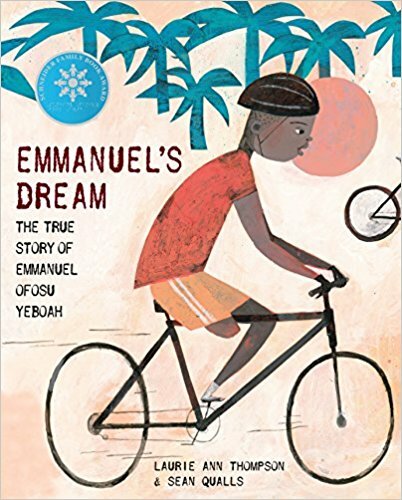 K-4 - Emmanuel Ofosu Yeboah's inspiring true story—which was turned into a film, Emmanuel's Gift, narrated by Oprah Winfrey—is nothing short of remarkable. 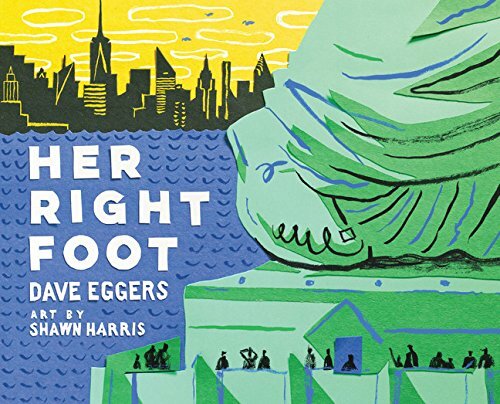 In this fascinating and fun take on nonfiction, Dave Eggers and Shawn Harris investigate a seemingly small trait of America's most emblematic statue. What they find is about more than history, more than art. What they find in the Statue of Liberty's right foot is the powerful message of acceptance that is essential of an entire country's creation. Gr. 3-6 - Corinne La Mer claims she isn't afraid of anything. Not scorpions, not the boys who tease her, and certainly not jumbies. They're just tricksters made up by parents to frighten their children. Then one night Corinne chases an agouti all the way into the forbidden forest, and shining yellow eyes follow her to the edge of the trees. They couldn't belong to a jumbie. Or could they? When Corinne spots a beautiful stranger at the market the very next day, she knows something extraordinary is about to happen. When this same beauty, called Severine, turns up at Corinne's house, danger is in the air. Severine plans to claim the entire island for the jumbies. Corinne must call on her courage and her friends and learn to use ancient magic she didn't know she possessed to stop Severine and to save her island home. The sights . . . the sounds . . . the SMELLS! New York's crowded subway system is known for many things, but being easy on a lost kid isn't one of them. 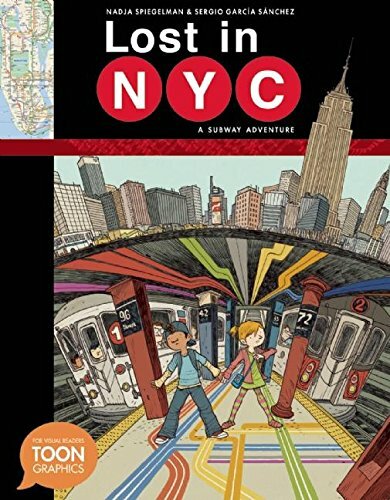 When Pablo gets separated from his new schoolmates during his first field trip in New York City, he doesn't know how he'll be able to find them again. Luckily, he has a little knowledge, a new friend, and the surprisingly approachable city itself to guide his way. This story features maps, archival photos, and fascinating facts to help readers explore the subway without ever having to get caught like Pablo in the mob of Times Square. 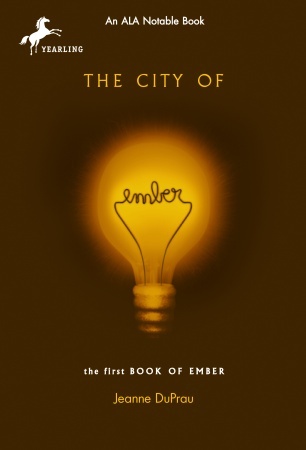 It brings all the bustle and beauty of NYC to young readers around the world. Melody is not like most people. She cannot walk or talk, but she has a photographic memory; she can remember every detail of everything she has ever experienced. She is smarter than most of the adults who try to diagnose her and smarter than her classmates in her integrated classroom—the very same classmates who dismiss her as mentally challenged, because she cannot tell them otherwise. But Melody refuses to be defined by cerebral palsy. And she's determined to let everyone know it…somehow. Gr. 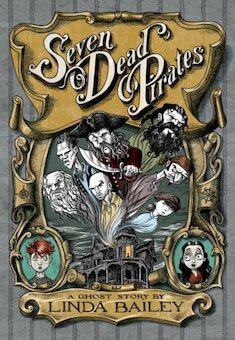 3-6 - Lewis Dearborn is a lonely, anxious, "terminally shy" boy of eleven when his great-grandfather passes away and leaves Lewis's family with his decaying seaside mansion. Lewis is initially delighted with his new bedroom, a secluded tower in a remote part of the house. Then he discovers that it's already occupied -- by the ghosts of seven dead pirates. Worse, the ghosts expect him to help them re-take their ship, now restored and on display in a local museum, so they can make their way to Libertalia, a legendary pirate utopia. The only problem is that this motley crew hasn't left the house in almost two hundred years and is terrified of going outside. 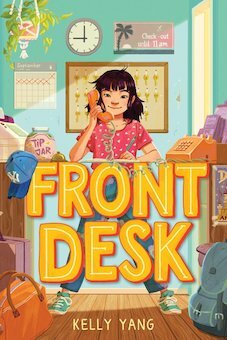 As Lewis warily sets out to assist his new roommates -- a raucous, unruly bunch who exhibit a strange delight in thrift-store fashions and a thirst for storybooks -- he begins to open himself to the possibilities of friendship, passion and joie de vivre and finds the courage to speak up. 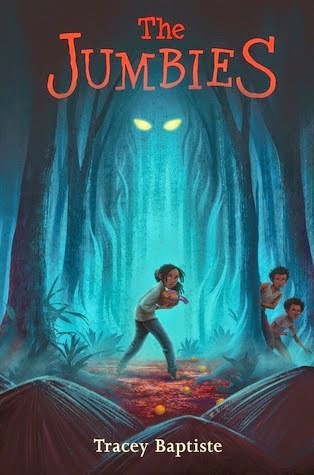 Newbery Honor author Grace Lin brings readers another enthralling fantasy featuring her marvelous full-color illustrations. 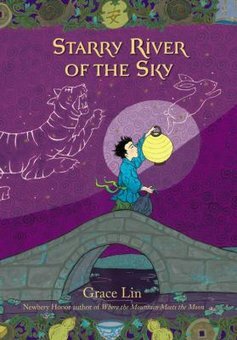 Starry River of the Skyis filled with Chinese folklore, fascinating characters, and exciting new adventures. Gr. 3-6 - It's never easy when your magic goes wonky. Gr. 4-7- No one knew the boy they called “Jumping Badger” would grow to become a great leader. Born on the banks of the Yellowstone River, Sitting Bull, as he was later called, was tribal chief and holy man of the Lakota Sioux tribe in a time of fierce conflict with the United States. 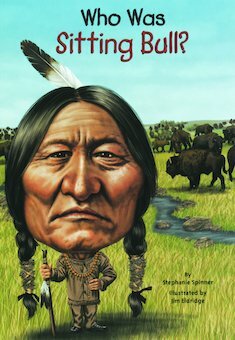 As the government seized Native American lands, Sitting Bull relied on his military cunning and strong spirituality to drive forces out of his territory and ensure a future homeland for his people. Gr. 4-7 -Eleven-year-old Charlie Reese has been making the same silent wish since fourth grade, hoping that someday it will come true. 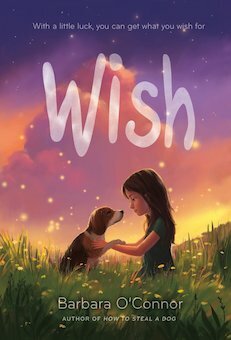 When her irresponsible parents send her to the Blue Ridge Mountains of North Carolina to live with family members she doesn't know, she needs that wish to come true more than ever. A stray dog, a great friend, and the love of a big-hearted aunt and uncle just might make it happen. Gr. 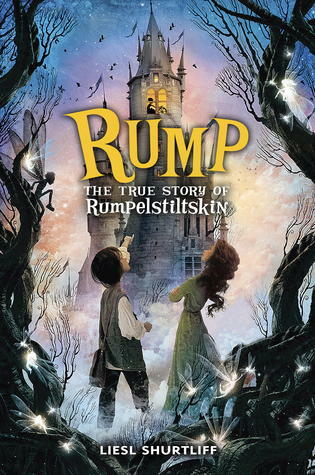 3-6- In thirteen-year-old Aster's family, all the girls are raised to be witches, while boys grow up to be shapeshifters. Anyone who dares cross those lines is exiled. Unfortunately for Aster, he still hasn't shifted . . . and he's still fascinated by witchery, no matter how forbidden it might be. 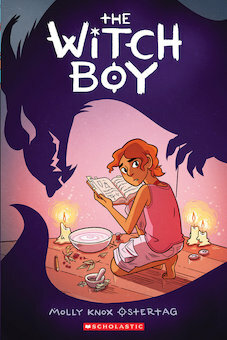 When a mysterious danger threatens the other boys, Aster knows he can help -- as a witch. 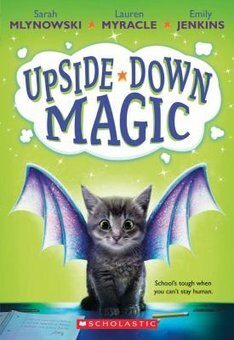 It will take the encouragement of a new friend, the non-magical and non-conforming Charlie, to convince Aster to try practicing his skills. And it will require even more courage to save his family . . . and be truly himself. In 1995, wolves were reintroduced to Yellowstone Park—first time they had been part of the park’s ecosystem for many years. Although George follows one wolf’s growth from pup to adult, the emphasis here is not as much on the wolves and their habits, but on how their presence has changed the ecosystem and returned its natural balance. In just one example, the wolves drove the elk herds to seek refuge higher in the hills, causing the valley grasses to grow taller, allowing for the return of the Vesper sparrow, which uses the grasses for food and nests. 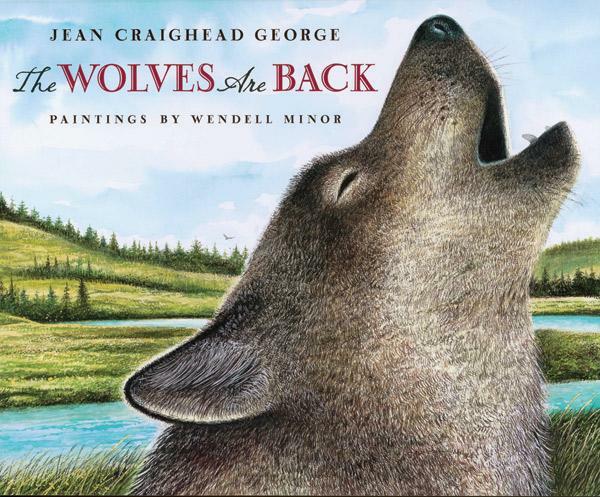 George writes about each of the changes caused by the wolves’ return in simple, rhythmic, informative prose. Adding to the book’s appeal are Minor’s finely detailed illustrations, featuring spectacularly rendered animals in the foreground of the bold, western landscapes. Together the words and pictures make for a highly effective and enjoyable explanation of how the presence of one animal can profoundly affect an ecosystem. The Battle of the Books is a fun, literacy-based event for fourth graders that is co-sponsored by the School Library Media Specialists of the South Kingstown Public elementary schools and the Youth Services Librarians of the South Kingstown Public Library. Fourth grade students who attend any public or private school in South Kingstown (SK), even if they reside in another town. The Battle of the Books follows a quiz-show format in which SK fourth graders cooperate to test their memories of 20 children's books by answering specific questions posed by their librarians. The families of the participants must provide transportation to and from the event and parents/guardians should plan to stay and enjoy this exciting evening. 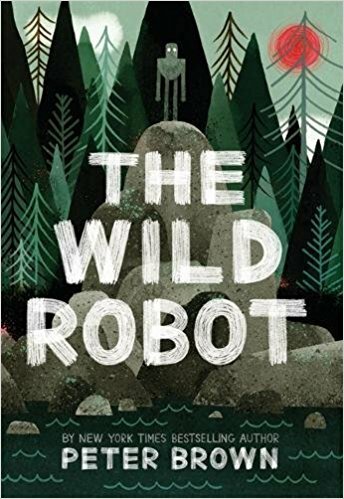 How does a student qualify to participate in the 2019 SK Battle of the Books? 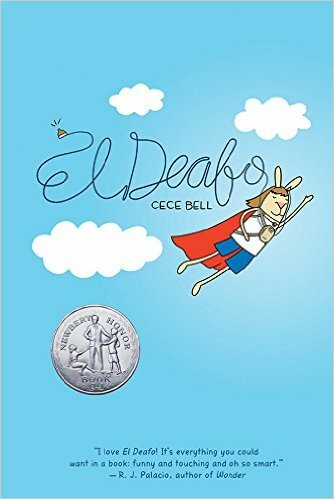 Who chose the books on the SK Battle of the Books list? 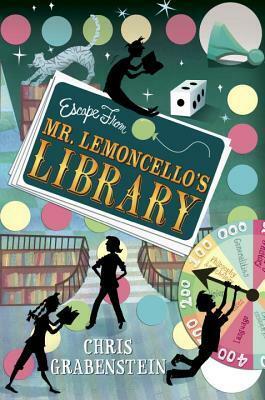 The librarians of the South Kingstown Public elementary schools and the youth services librarians of the South Kingstown Public Library compiled the list cooperatively. How may a student keep track of his/her progress in reading the books on the list? Each participating SK School Library will students' progress. Homeschoolers or SK residents attending schools outside of South Kingstown may report on their progress at the Peace Dale Library (the main SK Public Library) where a chart will be available for them. 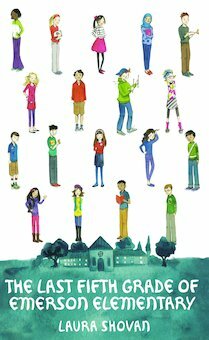 Participating students will also be given a Battle of the Books bookmark, which lists the 23 books on the 2019 list. Where can the students find the books on the list? 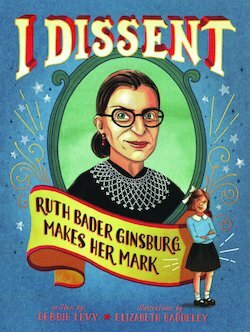 The books will most likely be available in your school library. Ask your librarian! If you can't find it there, check at any one of the South Kingstown Public Library locations. Ask a librarian!